How fab was this post and picture we received? 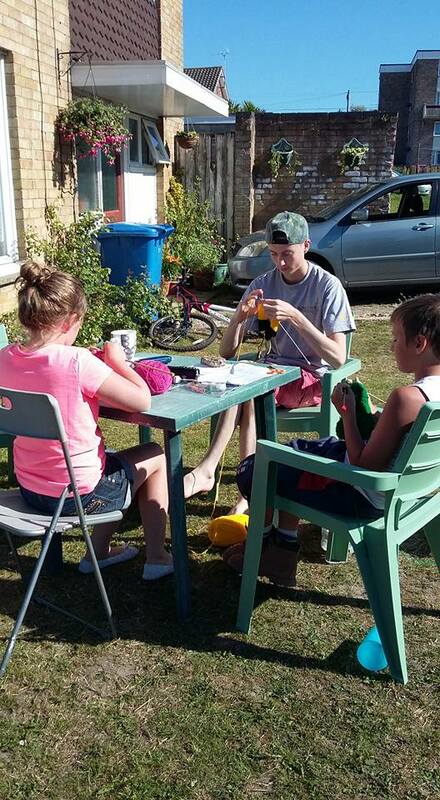 "Yesterday and today I've been knitting with two of my own boys and my neighbours children. My two can crochet so we'll do this as a summer project and see how many we can send you by September!— in Poole, Dorset."